Perler Beads Sea Life Bucket Just $6.63! Down From $11! You are here: Home / Great Deals / Amazon Deals / Perler Beads Sea Life Bucket Just $6.63! Down From $11! 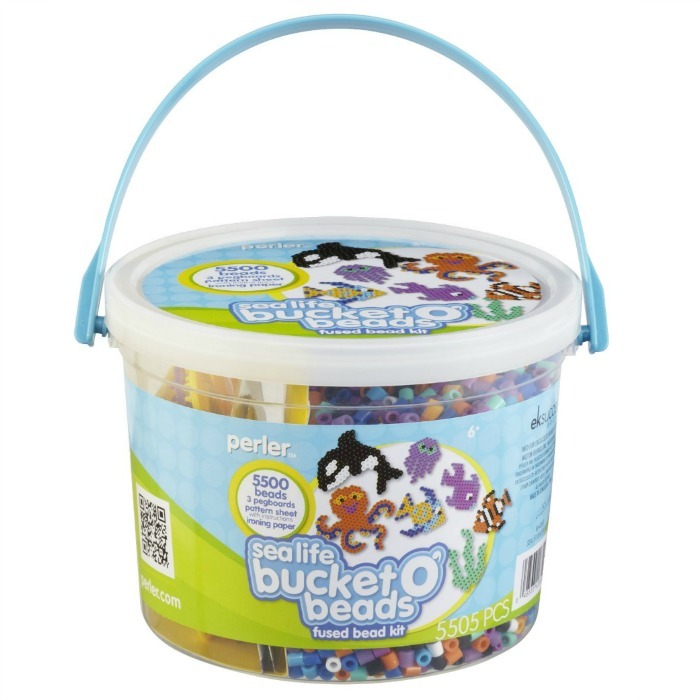 Amazon has this Perler Beads Sea Life Bucket for just $6.63 (Reg. $11)! Plus you can get FREE shipping on orders over $49 or if you are an Amazon Prime Member. Please keep in mind that his item is an Add-on so you must check out with at least $25 in your cart. PERLER-Bucket O’ Beads Fused Bead Activity Kit. This sea-life themed bucket of perler beads will keep kids entertained for hours and they create fish, sharks, octopi, and various other plants and animals. Pattern sheets and pegboards make it easy! This package contains 5500 perler beads, three pegboards, ironing paper, and a pattern sheet with instructions. Recommended for ages 6 and up. Imported.